Bali Souvenior Shop One of the 4 lounges at International departure floor, Dewa Lounge is for Garuda Indonesia Business Class guests. 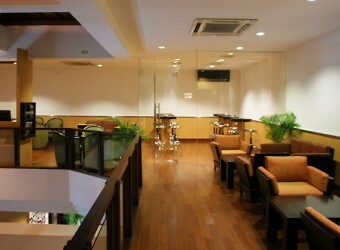 The 2 storied building has many couches and free use of internet and shower are available. It includes buffet light meal and drinks.